Because the prognosis for stage 4 pancreatic cancers are so poor, knowing what to expect can help prepare family members as well as the patients themselves for the things they may encounter. During stage 4 of pancreatic cancer, the cancer in the pancreas has usually metastasized, or spread to vital organs like the liver, lungs, bone or brain. Most doctors give patients with stage 4 pancreatic cancer a prognosis that is very dim. The cancer is incurable, and any treatments done at this point aim to make the patient’s symptoms more tolerable, and to attempt to slow the spread of the cancer. 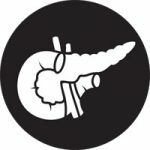 In stage 4, the damaged pancreas can cause the patient to have a multitude of symptoms, including intense skin itching, nausea, diarrhea, jaundice, discomfort, and severe pain. If medication alone isn’t managing the patient’s pain, chemotherapy or radiation therapy can be used to shrink the pancreatic tumor, thereby relieving some of the pain. A procedure called a celiac plexus block can be used for pain management as well. A surgical procedure called a bypass can help to relieve blockage that may occur in the upper intestine. Another option is using a stent to keep the blocked area open. Stents can be used in the bile duct to treat jaundice also. Various other medications can be used to treat nausea, diarrhea and weight loss to prevent malnutrition. Stage 4 is sometimes referred to as the “end-life” stage, when the cancer has become metastatic. At this point in the disease, some very difficult decisions will need to be made. Deciding when to stop the treatments is something the patient should discuss with their healthcare provider, their family and friends; however, choosing to stop treatments should not be considered as “giving up.” When patients are in the final weeks or months of their lives, and the treatments have become more of a burden than a benefit, the focus should turn to maximizing their quality of life and making them as comfortable as possible. Just because the decision has been made to stop cancer treatments doesn’t mean all patient care has to stop. Hospice services are sometimes recommended by the physician when the patient’s life expectancy is less than six months. Hospice involves total family care: hospice workers provide pain relief to the patient, but they also have a wide network of providers who serve to relieve the psychological, spiritual, and social suffering of the family as well as the patient. Hospice services include physicians, nurses, aides, social workers, and chaplains who are available twenty-four hours a day, seven days a week. The psychological, emotional, and spiritual toll that can take place over the entire course of treatment after stage 4 pancreatic cancer prognosis can be overwhelming for everyone involved. Knowing what to expect and making decisions about care and treatments ahead of time can help to reduce some of the stress. The doctors involved with the case should have several resources for information, services, and programs available for the patient and their family. Next Article Pancreatic Cancer Prognosis – What does it mean?